Ed Heerey practises as a barrister in intellectual property, trade practices, administrative and other commercial law. He is also a Registered Trade Marks Attorney. 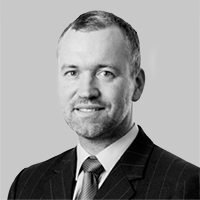 Prior to joining the Victorian Bar in 2000, Ed was a Senior Associate at Allens Arthur Robinson practising in intellectual property and trade practices litigation. Since 2003 Ed has taught Intellectual Property in the Juris Doctor program and has also provided guest lectures in Trade Mark Practice and Copyright in the Masters of Law program.